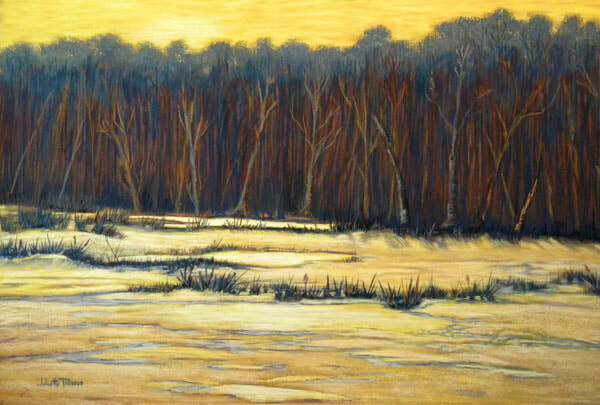 Juliette Travous has been a member of the Gateway Pastel Artists (GPA) since its inaugural year, 1999, the Gateway East Artist Guild (GEAG) since 2002, and a past member of the St. Louis Artist Guild. Although primarily a self-taught artist, she have taken many classes and workshops over the years to hone her skills as an artist. 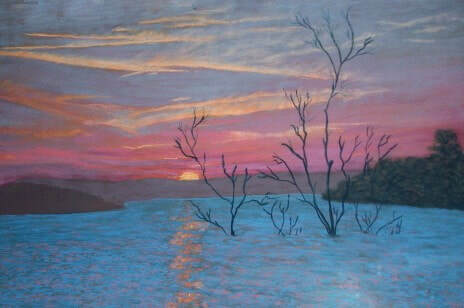 Juliette has studied and worked with various artistic techniques and media and has trained under several nationally known and local pastel artists such as; Doug Dawson, Sally Strand, Colleen Howe, and Tito Gay. "Confetti Sunset" by Juliette Travous. Pastel. 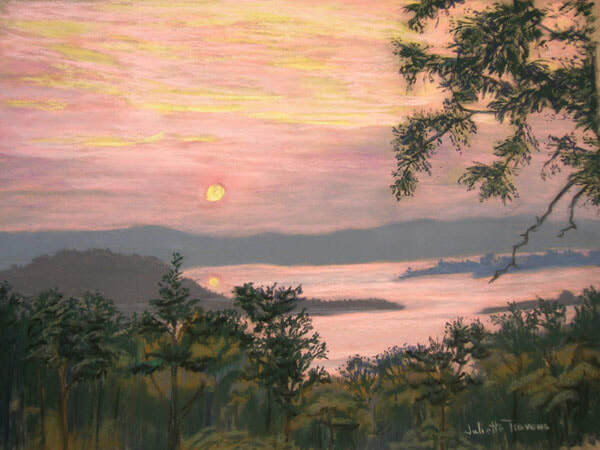 "Bull Shoals Lake " by Juliette Travous. Pastel.